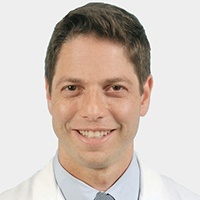 The Brooklyn Mesothelioma Center at the Maimonides Medical Center provides a wide-range of multidisciplinary treatment and supportive care for its patients. The specialty program includes thoracic surgeons, medical oncologists, radiation oncologists and pulmonologists experienced in handling this rare and aggressive cancer. The Maimonides Cancer Center is the only full-service cancer center in Brooklyn, allowing patients and families within the borough to stay close to home and still receive excellent care. The center offers personalized treatment that combines cutting-edge research and technology with distinguished specialists to make Maimonides a national leader in cancer care. 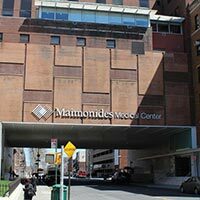 Maimonides offers a variety of cancer screening and prevention programs, clinical trials, advanced therapeutics and an array of supportive care that is unmatched in Brooklyn. 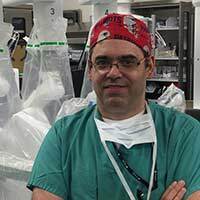 The mesothelioma program includes thoracic surgeons Dr. Igor Brichkov, Dr. Jason Shaw and Wiesel, who received his specialty training at Brigham and Women’s Hospital in Boston. 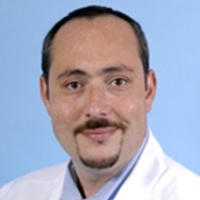 He worked there alongside Dr. Raphael Bueno, director of the International Mesothelioma Program. “At Maimonides, we believe in a total-team, dedicated approach to treatment, where the patient and their family are in the center,” Wiesel said. 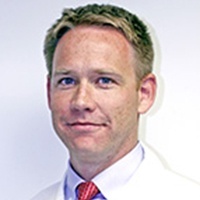 The program at Maimonides also includes Dr. Kevin Becker, Medical Oncology division chief. Brooklyn has seen more than its share of mesothelioma cases, which is caused by asbestos exposure, making the presence of this program invaluable so close to home. The proximity of the former Brooklyn Navy Yard and the New York Shipyards in Brooklyn — and the abundance of asbestos products that were once used there — has contributed to the rise in cases. There is also the aftermath of the 9/11 terrorist attack on the World Trade Center in 2001, which led to a rise in various lung diseases, including pleural mesothelioma. When the twin towers collapsed, they sent a toxic cloud of carcinogens, including asbestos, into the air. It lingered for weeks, exposing first responders and hundreds of thousands of nearby residents to the toxicity. Having a top-flight mesothelioma program in Brooklyn has allowed patients to avoid going far from home for treatment. Maimonides treats a range of cancers, including brain and spinal, breast, colorectal, gastrointestinal, prostate and urologic, pediatric, head and neck and gynecologic. The staff puts an emphasis on personalized care in a single convenient location, where diagnosis, treatment and recovery can be delivered without going far from home. Disclaimer: Maimonides Medical Center has no professional affiliation with Asbestos.com. Maimonides Medical Center. (n.d.). Centers of Excellence.